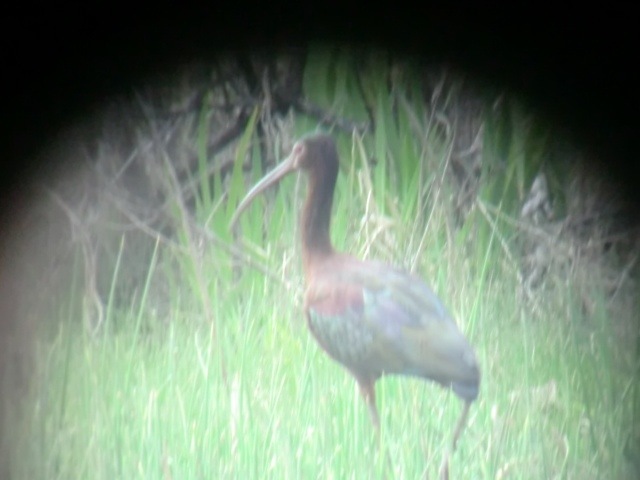 On May 3, Greg Grove reported that the Kyler’s had found a White-faced Ibis at Old Crow Wetlands in Huntingdon Cointy. 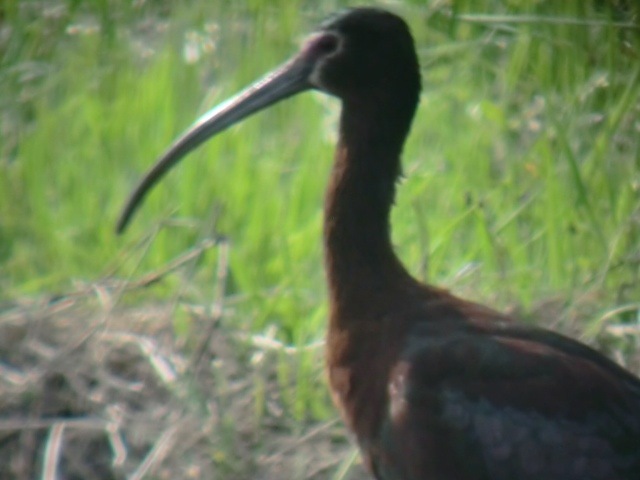 This is just the second documented record of White-faced Ibis in Pennsylvania, and like the first record from Cumberland County, did not stick around very long. By the time that Greg was able to get out and look for it, the bird was gone. 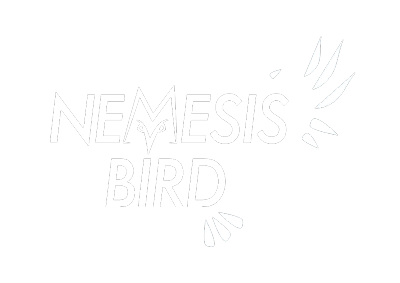 The Kyler’s were fortunate enough to get some diagnostic photos that they are submitting to the Pennsylvania Ornithological Records Committee and were generous enough to share them with Nemesis Bird so everyone else could see the photos. Old Crow Wetlands has been very productive for interesting birds in the past. Two years ago, the first record of an ibis at the wetlands was found in August when a Glossy Ibis spent several days there. Last spring, a Least Bittern was present for several days, as well as an Orange-crowned Warbler. In addition to the White-faced Ibis this year, Old Crow had also hosted interesting birds such as Clay-colored Sparrow and Marsh Wren. This is definitely a great place for local birders and should be a frequent stop for county listers in the area.